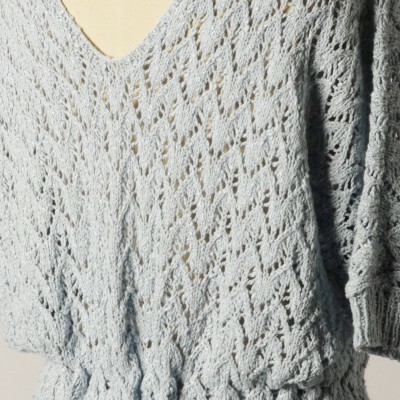 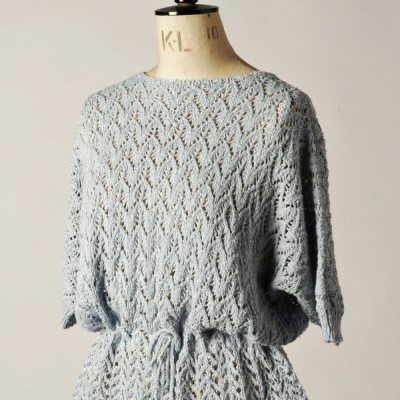 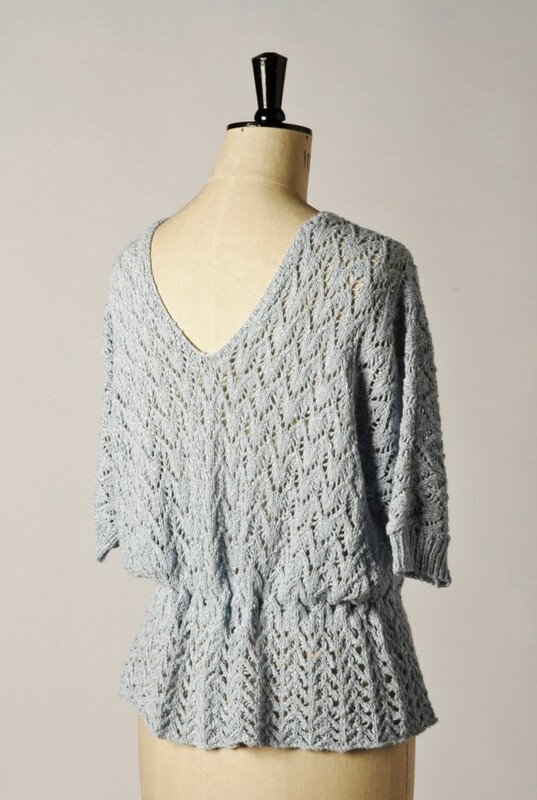 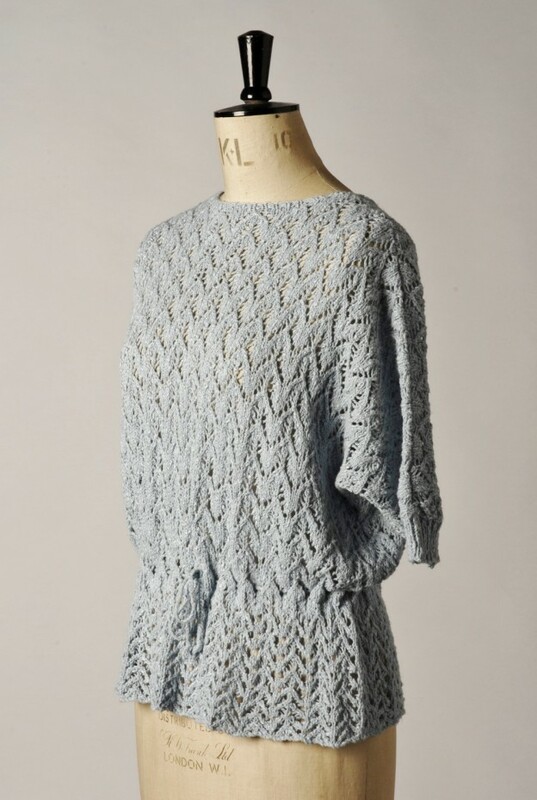 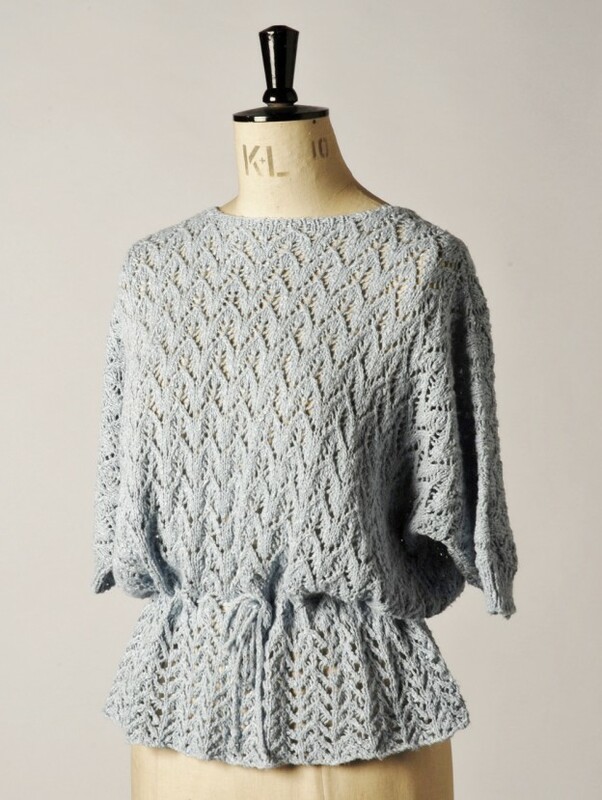 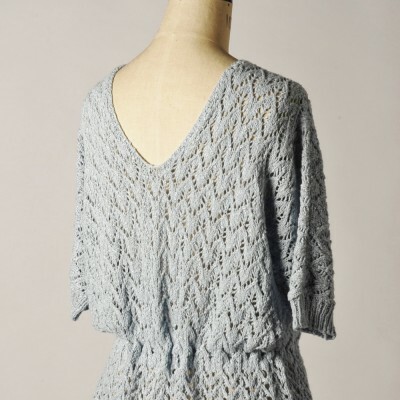 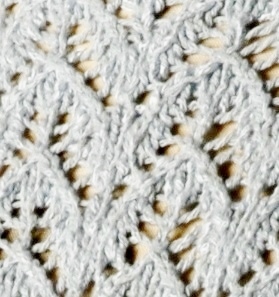 Sea Holly is a pretty summer top knitted using two versions of the same chevron lace stitch. 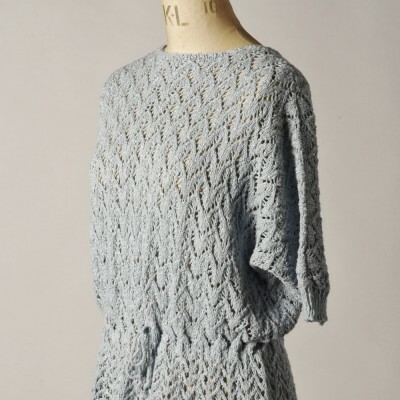 With a V-neck which can be worn either at the back or front, and a drawstring tie which can be pulled in at the waist to give a blouson effect, or left loose for a more casual look, the top is easy to wear and versatile. 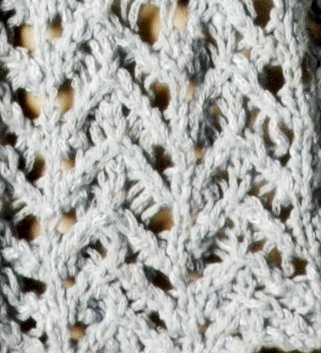 Tension: 23sts and 34 rows to 4ins (10cms) using 3.75mm needles and lace pattern.